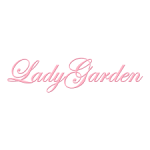 Lady Garden is an online fashion store for women. The store sells all kinds of clothing including tops, bottoms, dresses and outerwear. There is a dedicated section for plus size tops, dresses, bottoms, sweaters and other outerwear as well as swimwear. The store also sells shoes and bags, beauty and health products, accessories such as hats and scarves, gloves and shoes, phone accessories, home and garden items, baby and kids care as well as jewelry and watches. Lady Garden features new arrivals reflecting the latest trends in fashion. There are significant markdowns on most of the collections on sale at the online store.